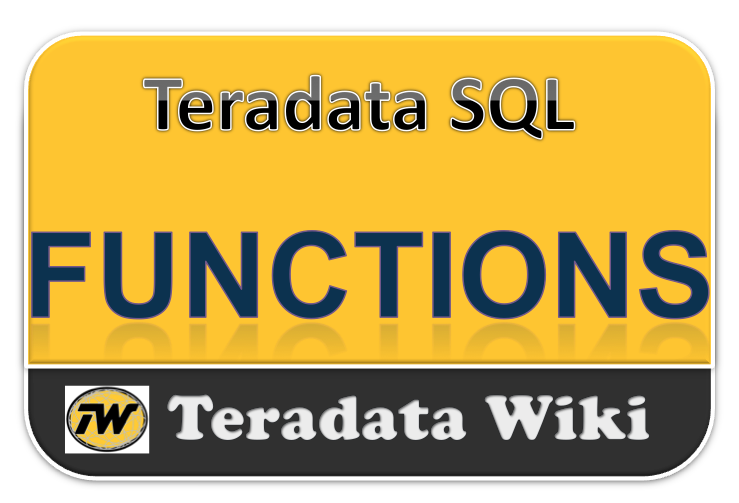 Teradata database is not case sensitive (case specific), there may be times when we would like it to perform in a case sensitive manner. To accomplish this we use the CASESPECIFIC function. Note that "Crane" and "Trader" are also employees. The TYPE is an attribute function that returns only the data type of a column or expression, i.e. it does not return result information. DEFAULT returns the default value for a column. This value is then treated as is any other projected value. The table must have rows of data for this to return a result. Hence, this table has one row. Then this SELECT TITLE(Col1) will return "Column 1" as the columns new heading (which is only a title and not an name).